If you’re heading to the beach, I’ve made a list of my favourite ones to help you plan your holiday. This Bali Tourism Guide will also give you some additional options. Seminyak is a chic resort in the south of the island, offering a laid-back experience and one of the best beaches on the island. With luxury hotels, shopping, great restaurants and bars (I must mention the really cool La Favela), you can just relax and soak up the sun or grab your board and get surfing, before enjoying the vibe at one of the celebrated beach bars. 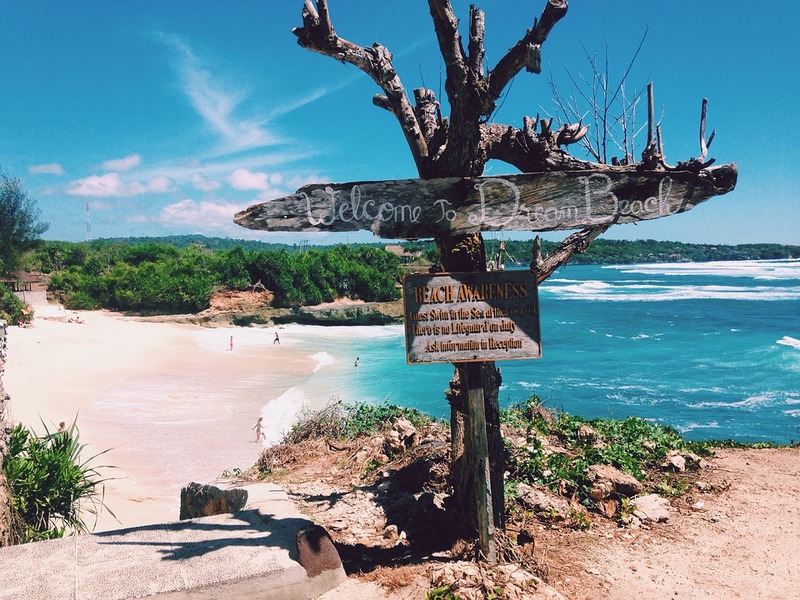 Located on the Bukit Peninsula, Balangan Beach probably isn’t the best for swimming, but it’s surfing heaven and a magnet for wave riders from around the world. Less developed than some of the island’s other beaches, there are just a few little wooden huts serving great local food and cold beer. It’s hard not to love chilled out Echo Beach. 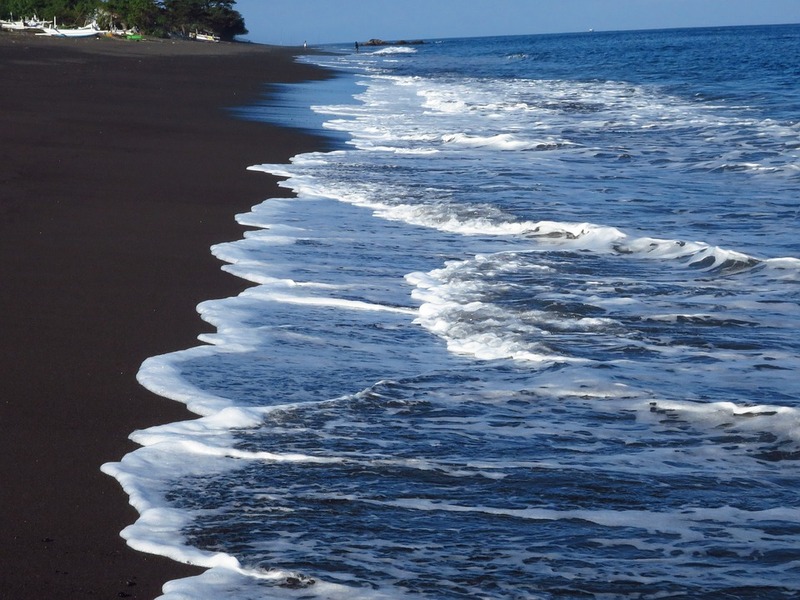 With its distinctive volcanic black sand and big waves, it’s perfect for the more experienced surfer. As the Echo Beach Club is right on the doorstep, there’s always great food and drink available too. Pemuteran is a small town on the northwest coast of Bali, with a beach particularly popular with divers and snorkelers. It’s a good place for swimming, although high tide is better. You can hire fins and goggles locally, to explore the unusual artificial reef, or a lounger if you just fancy a lazy day. How do you best describe this beautiful place when so many superlatives trip easily off the tongue? 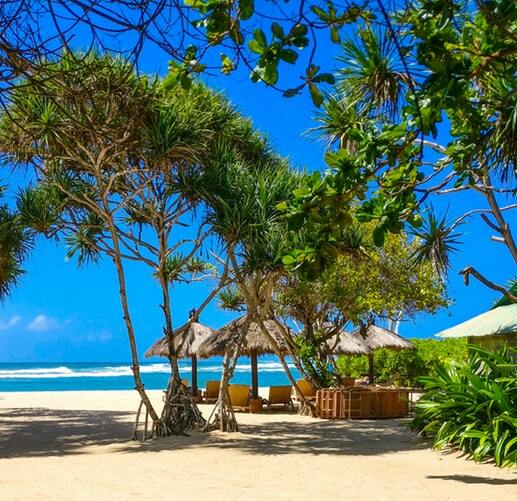 It’s another south coast beach, part of the Nusa Dua resort and a real family-friendly place where you can swim or just chill on the beach. With plush hotels, restaurants, shopping and lots of other activities to sample, there will never be a dull moment. With its vibrant coral reef and abundance of marine life, it’s no wonder that snorkeling is so popular at Amed Beach. There are also a number of good dive sites, including a nearby sunken ship to explore. You can swim from the beach or enjoy some of the lovely walks in the surrounding area. Balian Beach, with its rolling dunes, is on the west coast, a quieter part of the island, which is definitely part of its charm. Boasting bigger waves than the south, it’s ideal for surfing. If you’re a beginner, you won’t feel left out, as there are lessons available locally. The few beach bars and restaurants add just enough excitement to give you the perfect holiday. Jimbaran Beach is one of the best sandy stretches on the island. Maybe not the best for surfers, but swimming, walking and bodyboarding should definitely be on the agenda. 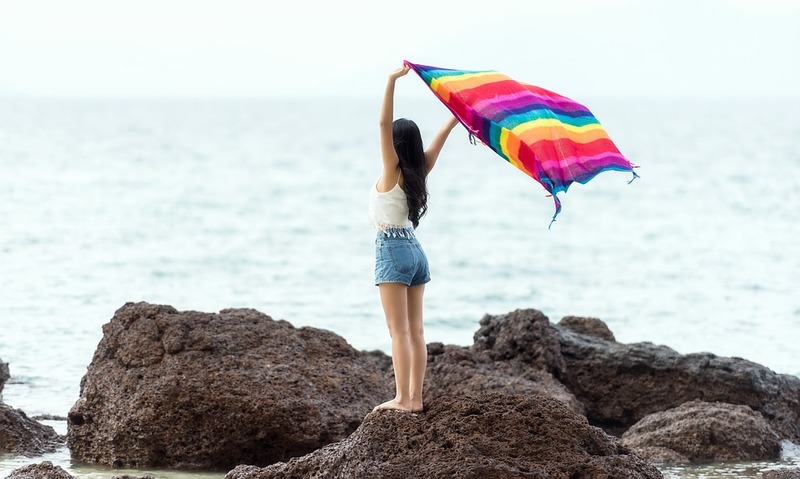 While the area has a number of luxury hotels and a wide range of bars, restaurants and other amenities, it’s definitely all about the beach. 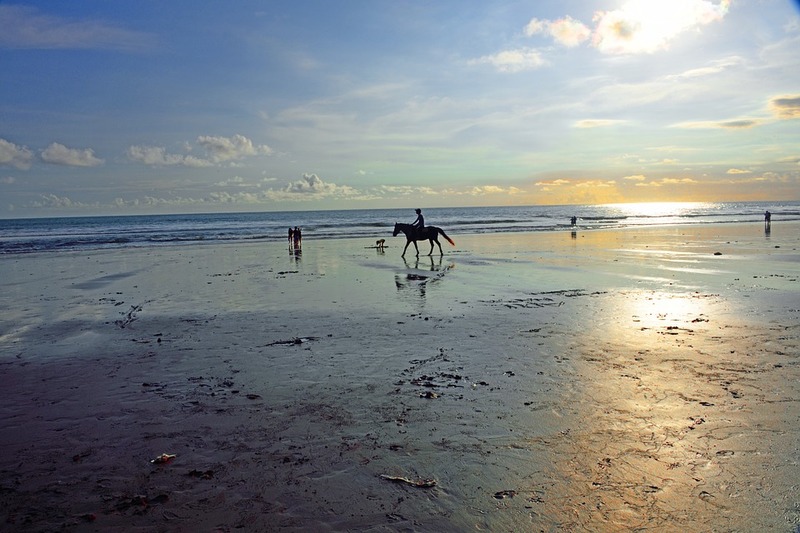 Dreamland Beach, also called New Kuta Beach, on the Bukit Peninsula, is set against rugged limestone cliffs. It’s another one for the experienced surfer and when conditions are right, you can also go swimming. The surrounding resorts have a range of hotels, bars and restaurants to enjoy. Gunung Payung Beach, sometimes called the ‘secret beach’, is nestled in a quiet location on the south coast. A steep set of stairs to be negotiated add to the isolation and there are no amenities to speak of. What you get is perfect peace, in a stunningly beautiful part of Bali. 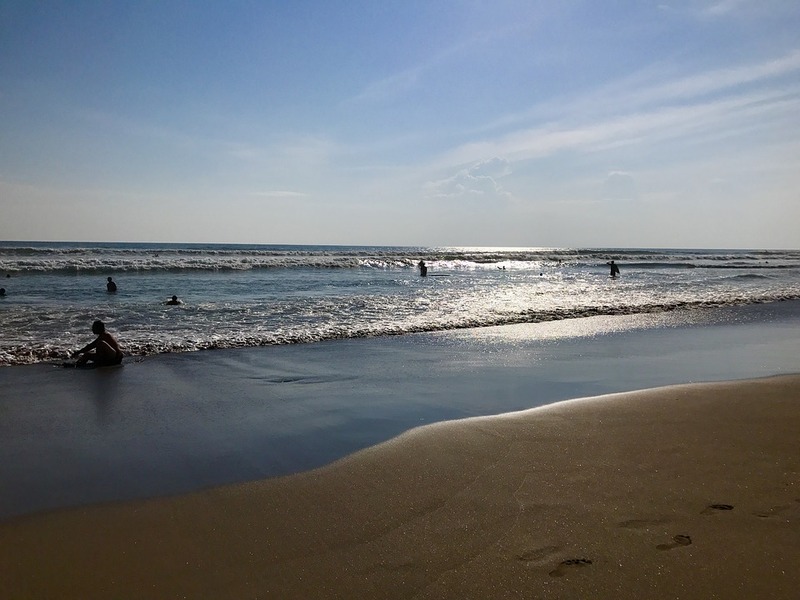 What’s your favorite Bali beach? Let me know in the comments below. If you’re heading to Bali as a family, check out these best family friendly resorts from Wanderlust Storytellers!